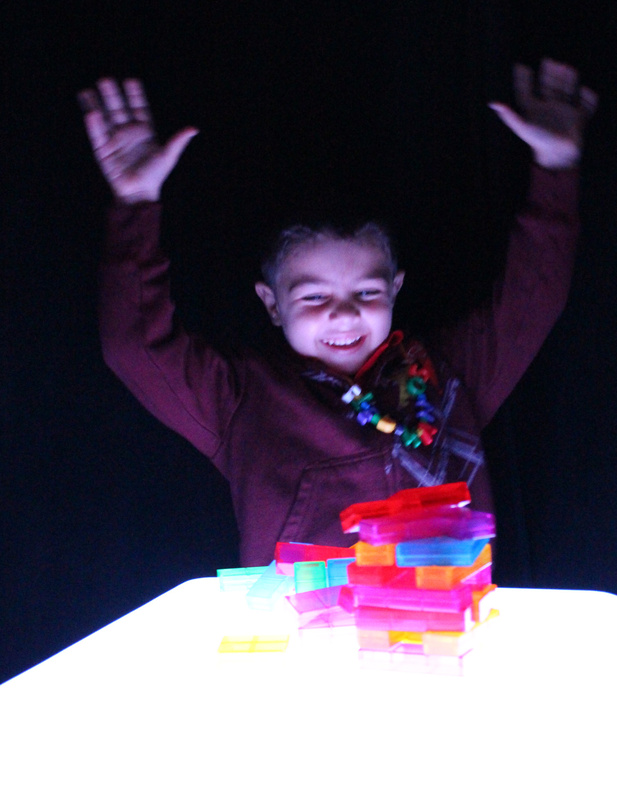 We’ve established many times that working with blocks on the Light Cube is a great way to engage students who love to build–it helps to focus their attention with beautiful light and color combinations! 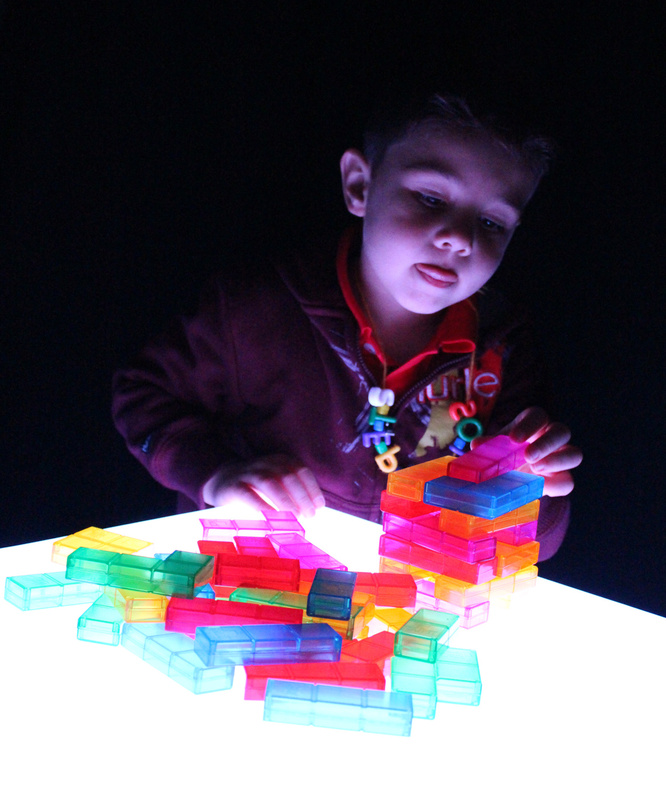 These blocks were found at our local toy store but we found them to work amazingly well with the Light Cube. 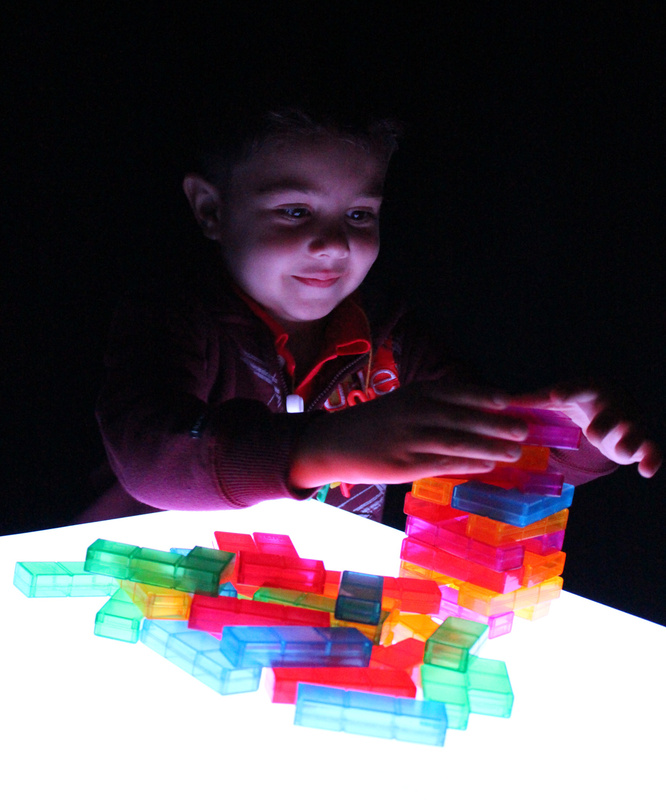 We set the glow to a soft white and placed the blocks on top. 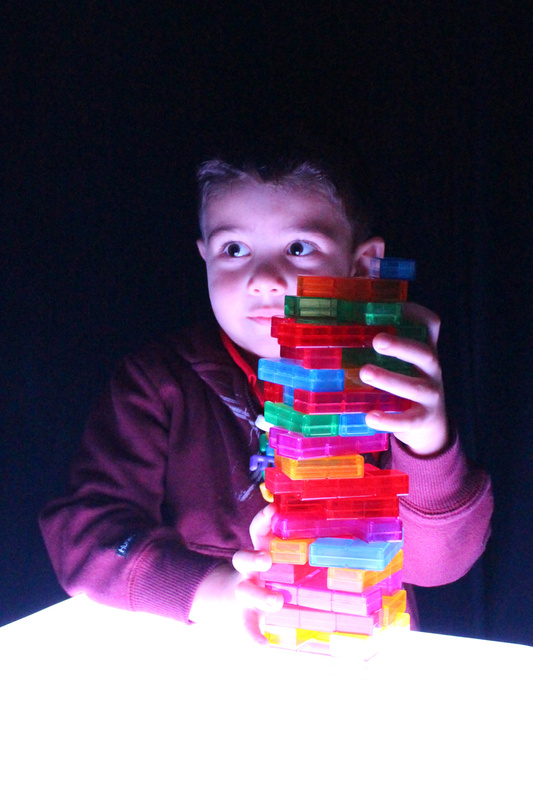 We asked our friend Stephano to arrange the blocks into the tallest tower he could manage to make on top of the Light Cube. Since the blocks are rectangular, they can only be stacked together in an intertwined pattern like Jenga blocks! 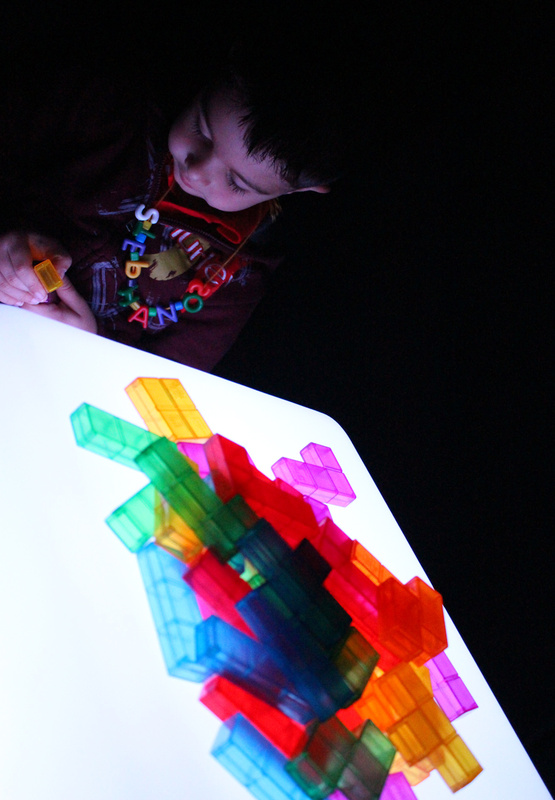 We showed Stephano how to interlock the pieces together. 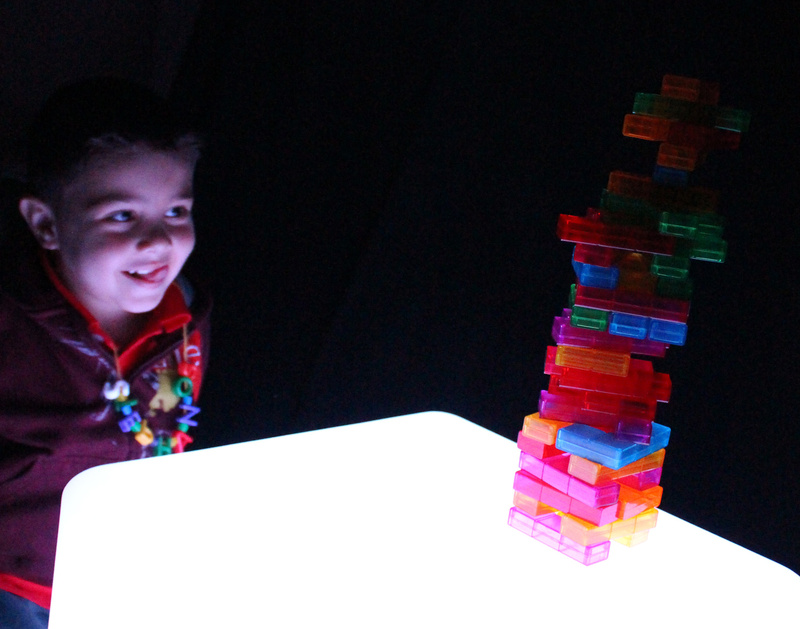 As he gradually stacked upwards, he started to turn the blocks in different angles, which produced a slightly different tower than the one we envisioned. Here is the tower all finished! Look at that amazing lean… what will happen when Stephano plays a round of Jenga? He decided not to ruin his tower, as it was accomplished with a neat new building pattern! When have you seen a Jenga tower look so sculptural? 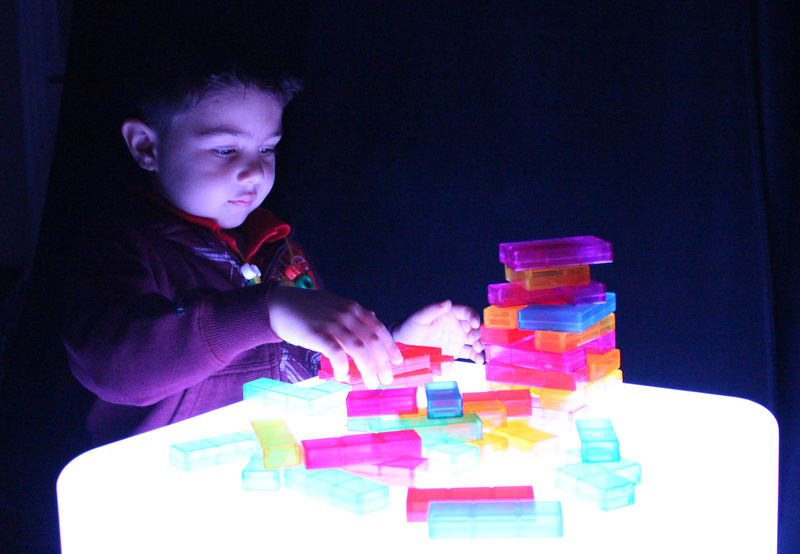 This entry was posted in Preschool Play and tagged blocks, building, colorful blocks cube, jenga blocks, jenga tower building light table, light box, light cube, light play, light table by roylcoblog. Bookmark the permalink.